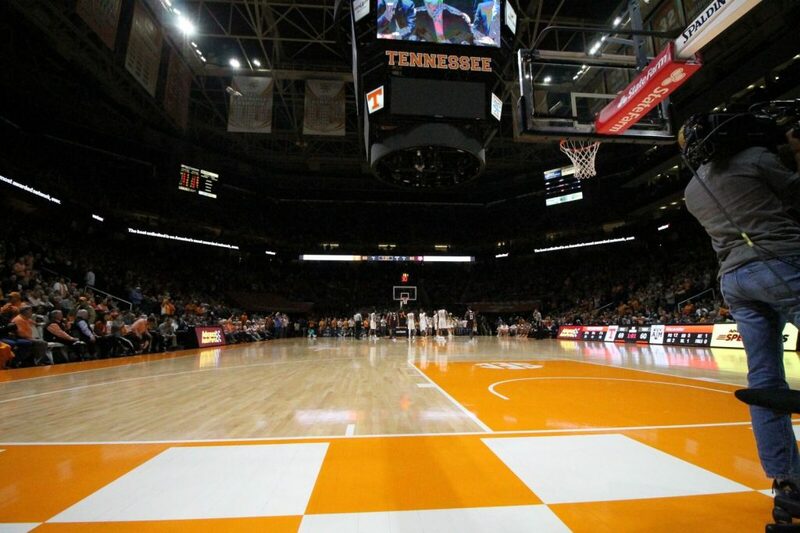 For the last time this season, Tennessee will be playing a home game at Thompson-Boling Arena. The No. 5 Vols (26-3, 14-2 SEC) will host Mississippi State (21-8, 9-7 SEC) for their final home game of the 2018-19 season. Tennessee hasn’t lost at home this season and have won 25-straight games in Thompson-Boling Arena. That’s currently the fifth-longest home winning streak in program history. Tennessee earned two impressive victories last week, defeating Ole Miss on the road on a last-second shot then dominating then-No. 4 Kentucky at home on Saturday by a score of 71-52. Mississippi State had their five-game winning streak snapped by Auburn on Saturday, losing on the road by a score of 80-75. The Vols have wrapped up a double-bye in the SEC Tournament and are fighting for at least a share of the SEC regular season title in back-to-back years. Mississippi State, meanwhile, is trying to get the last double-bye for the tournament. They have the same conference record as Auburn, South Carolina, Florida, and Ole Miss, and all those teams are trying to get the No. 4 seed in the upcoming tournament. Mississippi State and Tennessee feature two of the most dangerous scorers in the SEC. Tennessee’s Grant Williams averages 19.3 points per game while the Bulldogs’ Quinndary Weatherspoon averages 18.8 points a contest. Both teams also have effective point guards leading the charge on offense. The Vols have junior guard Jordan Bone, who averages 13.6 points and 6.1 assists a game while Mississippi State has junior guard Lamar Peters who averages 11.3 points and 5.3 assists every game. Tuesday night’s game will be Senior Night for Tennessee. Two scholarship players, Admiral Schofield and Kyle Alexander, will be playing their last games in Thompson-Boling Arena in their UT careers. Walk-ons Brad Woodson and Lucas Campbell will also be appearing in their final games as Vols. Here’s everything you need to know about Tuesday night’s game, and here are our score predictions for the game. If you can’t make it to the Thompson-Boling Arena, here’s how you can watch and listen to the Tennessee vs. Mississippi State game.